Welcome to our backyard farm! We have a smaller yard, but make due with the space we have to create an urban farm. From container gardening to now chicken rearing, this continuing farm project is a way for me to share my love of animals, gardening, cooking, and teaching children how to do the same. I had a friend build me a chicken coop that will hold about 4 chickens, I recommend building your own or hiring someone out to do the same. You can find coops at some warehouse hardware stores and farm or feed stores but I wanted one that would be super burley so the local raccoon's wouldn't eat them. Also, check into your local laws regarding livestock in the city, some places will allow you to have chickens as long as there is not a rooster present, other cities do not. We have two smaller size chickens (Peanut Butter and Henny Penny) that I bought off craigslist and have been wonderful. We tried to raise chicks but did not have very good luck and not only that, they will not lay until 8+ months old, come up with illnesses and are very messy. The two hens from craigslist are already mature and laying hens. The "girls" are smaller chickens therefore lay slightly smaller eggs. The chickens are fed organic chicken feed, oyster shell, worms and snails we find, and non-meat tablescraps. 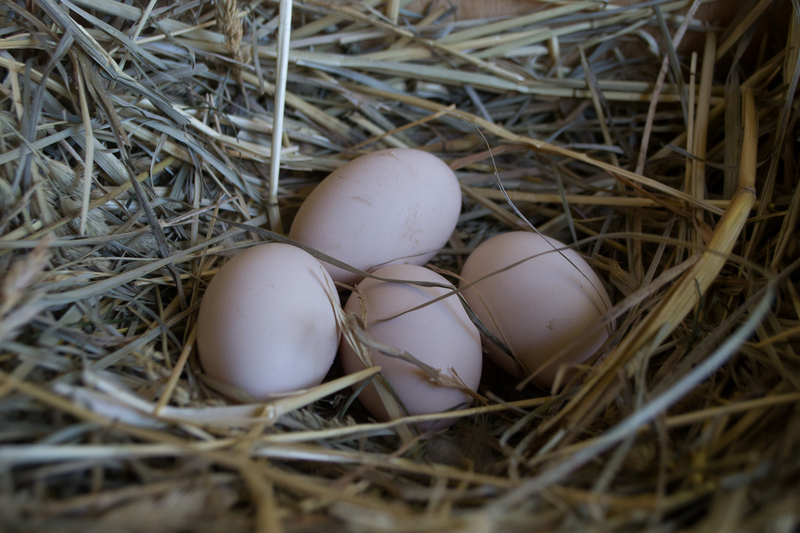 We had our first eggs arrive in early June and have had a consistent laying ever since. Some days I will go out and find one egg and some days I will go out and find four. Pretty cool! I have some really "egg"cellent recipes to check out using fresh eggs: Quiche, Deviled Eggs, Egg Salad Sandwich. For more info on how you can help donate or contribute to our little farm and other educational resources for the children please email me at fullspectrumschool@yahoo.com. Thanks! !